Everyone hates spam. Misleading descriptions, tags, titles or thumbnails designed to increase views are not allowed. It's also not okay to post large amounts of untargeted, unwanted or repetitive content, including comments and private messages. Now if you watched the video, did you see any "misleading descriptions, tags, titles or thumbnails designed to increase views"? No. Did you see "large amounts of untargeted, unwanted or repetitive content, including comments and private messages"? No. You saw a video exposing a false claim made by ABC News. If open discussion is no longer allowed on YouTube, tens of thousands of videos should be taken down. Since YouTube gave me a "warning strike" after removing my "raisins" video, and since dozens of my other videos follow the exact same format, my account could be removed at any moment. Please inform as many people as possible. If YouTube is censoring even the most basic discussions of Islam, then we need to find an alternative site. Please contact YouTube and express your thoughts. Their email address is support@youtube.com (though I'm not sure they read emails or respond to them). I have tried to make complaints to youtube several times. They make it very difficult. Perhaps someone could provide a link. This is appalling. I believe they will put it back up if there are enough complaints! They took down my page for a month once and then released it! We have to all complain1 This is atrocious! They lied because the video is not spam or commercial. David if all else fails, take them to court, file the appropriate papers. Clearly these are false charges. I wonder where Derek gets his sense of Justice. My theory is that deep down inside he's a Christian. Only Christiniaty can make sense of justice i.e. YHWH is absolutely Just. Anyway, I say no Derek let us enjoy the show I've never seen anything like it. The lengths some will go to protect the imaginary. Seems like if you open your mouth about anything that is even slightly offensive, you pay the price. Free speech apparently only goes so far! The Lord Eternal God has used YouTube for quite some time now, to bless many people. And, He may choose to continue to use YouTube for some time to come. However, it appears to me that the Holy Spirit is being withdrawn from the Googleplex. THAT's really sad. Google was a great company with many useful tools and avenues. However, the servant [Google] has forgotten the reason for his being given an opportunity to serve. But my response to David's options is "all of the above". BE CAREFUL REGARDING THE RETURN ADDRESS! You will need to include a return address but don't make it too easy for the jihadis to send thugs to your house. Yes, I think YouTube has been THAT terribly infiltrated. Thank YouTube for their kind attention and realize that you may get no response at all and you'll be lucky to get back a form letter. But for letters to have any effect whatever, there'll have to be a BUNCH of us and we have to be focused on the business-case for keeping David's videos available. 2) Let's find another host for the videos AND for the blog. Both YouTube and Blogger are Google channels. Through channels such as these, Google has been given great power but they forgot that along with the power comes great responsibility. (I HATE it when that happens!) At present I'm too heads down with urgent stuff to be much help in locating other channels for blogging or vidz. I don't know if GodTube would even consider controversial topics and I have no idea whether LiveLeak or Vimeo would be any better than YouTube. Remember, for most channels, it's all about the money. Maybe if enough of us can contribute, we can get in with the host that keeps Bare Naked Islam on the web. 3) If you have a YouTube Channel or a Blogger Blog, consider your options and if you choose to disassociate from Google, let them know that you're doing this because of their "double standards" (or whatever). They probably could care less but, again, let them know they're hurting their own business by their behavior. Folks, this is war. The information battle-space is a vast place and we must strive in many avenues. We must be determined, agile and flexible AND we must think outside the box. ALL of our resources may be necessary to win this fight. But would you rather give everything voluntarily or, had you rather the jihadis come and take your loved ones from you later because you weren't willing to pay the price to stop Islam NOW? Youtube is a lost cause. They've picked sides and the side they've picked isn't one of liberty or freedom. Maybe their majority stockholders at this point are muslo-nazis. Maybe they're afraid of muslo-nazi death threats. WHo knows? The only hope is to found an alternative. Find some deep pockets donors that DO support things like freedom of speech, freedom of the press and freedom of religion and found an alternative to youtube. 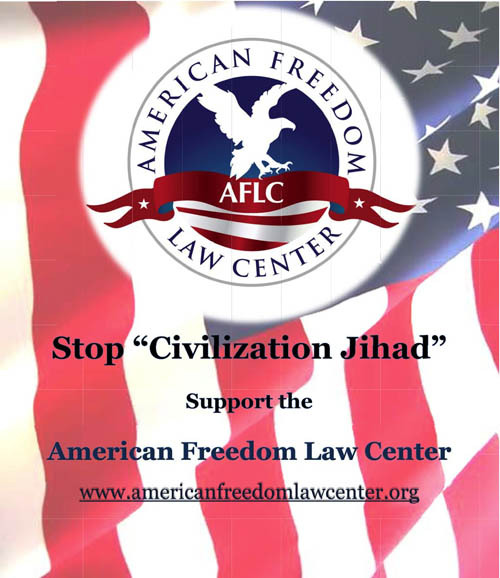 Maybe contact organizations like ACT for America or David Horowitz's Freedom Center. I have said this before... but please consider shifting your videos to Vimeo.com. They charge USD60 per year which I will be honored to pay if you decide to use it. They have no time limits on the video to be posted. Please do let me know your feedback on nnsk@yahoo.com and I will do the needful. I just looked at Vimeo. They seem even more strict than YouTube. Almost all of the videos about Islam are promoting Islam. I have watched few of your videos and i find them almost logically correct. How about MuhammadTube.com? The site is maintained by Christian Prince. Tragic. Sign of the times I'm afraid dear brothers. We need to pray about this and start putting some pressure on these nazis. It seems Muslims can put what they want but a different law seems to apply to Christians. It's getting just as bad in the uk. 1) in my experience, VIMEO is very slow; prohibitively slow and essentially unwatchable due to the frequent long pauses sometimes only several syllables apart; this is *not* an issue with YouTube. 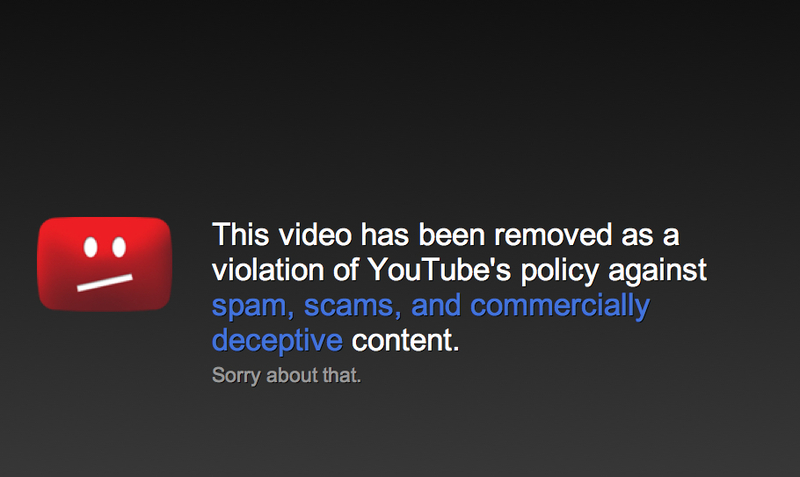 2) to me it looks like YouTube doesn't understand its own policies. Why? They apparently nailed Mr. Wood on the "repetitive" aspect associated with "raisins" and the so-called "expert", and I use the term lightly, commentator. Yet it appears, to me at least, that the YouTube policy is not so much aimed at repetitive comment within a single video (how does that draw more "hits" I wonder?? 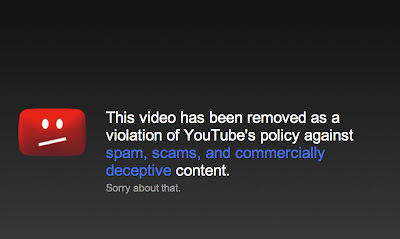 ?, hmm...), but rather is intended to prevent very similar videos from being posted separately. At least, that's how I interpret the explanation YouTube provided Mr. Wood, but I could be mistaken. Anyone, please correct me if you feel my understanding of "repetition" in the YouTube provided explanation is flawed. I know the focus of this discussion is Youtube. But as a Blogger, I've been thinking for sometime that you might want to think about moving off of Blogger to another platform, maybe a self-hosted Wordpress site (Wordpress.org). It might cost a few to move over completely, anyone skilled in this area can do so between $200-$$2000 depending on what bells and whistles you want. The reason is that Blogger is now a Google company, so all of this wonderful content on here, though you created it, belongs to Google. All it takes is for someone like Kim to say, "David's site is Islamophobic" and they pull you and it's gone. I'd start looking for backups now, maybe find a designer (hopefully Christian) who can work with you on the cheap, and then maybe ask for donations. Maybe I can help. On a Self-hosted site, the content is YOURS. 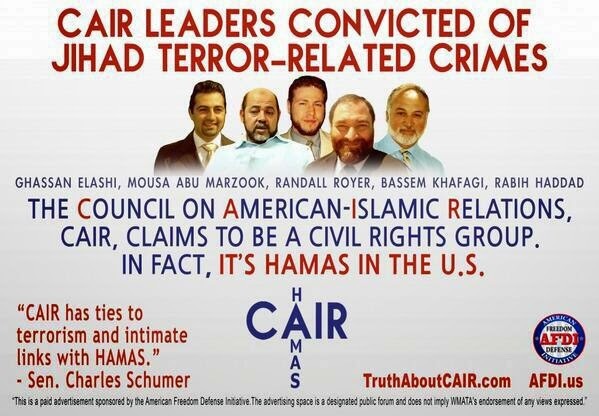 Otherwise you wind up like BNL who posted on the regular Wordpress (Wordpress.com) then got pulled b/c CAIR has no desire for people to learn the truth of how Violent the Religion of Peace truly is. These social networking companies used to be great. But it's like you always say, they are willing to sacrifice truth on the alter of political correctness. Google is scared that some group like CAIR (or Revolution Muslim, lol) will raise complaints against them. So slowly but surely we're becoming a Sharia compliant nation. Facebook is the same. It's the reason why if you post a picture of Muhammad, your page gets taken down, yet there's 1000's upon 1000's of pages describing how the Palestinians will one day destroy Israel. And if you support this, "Like it". Just start thinking about "Plan B" now, that way when they pull this or your Youtube, you will still be able to post the truth. When I recently found your channel on youtube, that was one of the videos I found to be so thought-provoking. Please don't let them keep it down for too long. It's very good for the discussion about Islam. @David Wood a solution might be to create your own Youtube site. There would be cost involved but you could sell subscriptions to the visitors of the site to pay for those costs. I will do some research into it and give you a idea of start up costs. I think the problem with YouTube is that they are swayed too much by these community guidelines. All it needs to do is offend the right amount of people and the video is gone. Just goes to show you that YouTube's eventual goal, replacing TV, will never even come close to happening. To be honest though, Irshad Manji probably tells Muslims the same thing about the raisins. She's really liberal and has actually been threatened by Sharia4Belgium. Also, Youtube has a fax number and FaxZero is a free, browser based, faxing service. The Fax number of Youtube is 650-253-0001. It's time to get busy and start writing folks! Being a "squeaky wheel" is the way the Muslims are having the Acts 17 videos removed from Youtube. It's time to "squeak back"! A review of this video WILL show that none of that which you assert is true and your justification for it's removal is pretextual. The question than becomes, "What was the REAL reason behind it's removal?" I think an honest search of your corporate soul will reveal the answer - your organization is merely Judeo-Christophobic. By the way, is the weekend for Youtube employees Friday and Saturday? This would give them better access to the Mosque. I have downloaded 15 of your videos, and can repost them on youtube if need be. My advice would be to make sure that this site is as free as possible, and that people can see as many of these videos as possible. We need to educate the general public of this, because if we did, crap like this couldn't occur. We'd still have Islam to deal with, but this sort of thing would never get past the radar. I've started transferring my videos to LiveLeak. They're not nearly as popular as YouTube, but they have more respect for free speech about Islam. I've seen this pattern of behavior many times on YouTube. I think it's more likely that this is primarily poor policy on how videos are flagged and removed. YouTube simply doesn't care about thought provoking quality user generated content. Muslims are exploiting this issue to enforce an aspect of Sharia (banning criticism of Islam) and YouTube is either blissfully unaware or too busy to care. Plus, YouTube has made it intentionally confusing and difficult as to how to register a complaint. David, is this you on LiveLeak? If so focusing on your presence there could be your answer. I know the owners of LiveLeak refused to take down Geert Wilders "Fitna" after receiving death threats from Muslims. Yes, I started transferring videos yesterday. I'm going to try to upload 2-3 videos per day. That way, when YouTube finally pulls the plug, I'll have a backup plan. 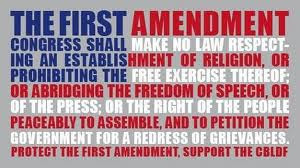 Islam and the left have these things in common they both hate free speech. And neither one can apply crical thought to their world view. The Left is so intoxicated with political corrections that they will eventyally give the Muslims the knife which will used to cut their own throats. "To be honest though, Irshad Manji probably tells Muslims the same thing about the raisins. She's really liberal and has actually been threatened by Sharia4Belgium." She is doing as much harm to our understanding of Islam as the more liberal medias in the West. 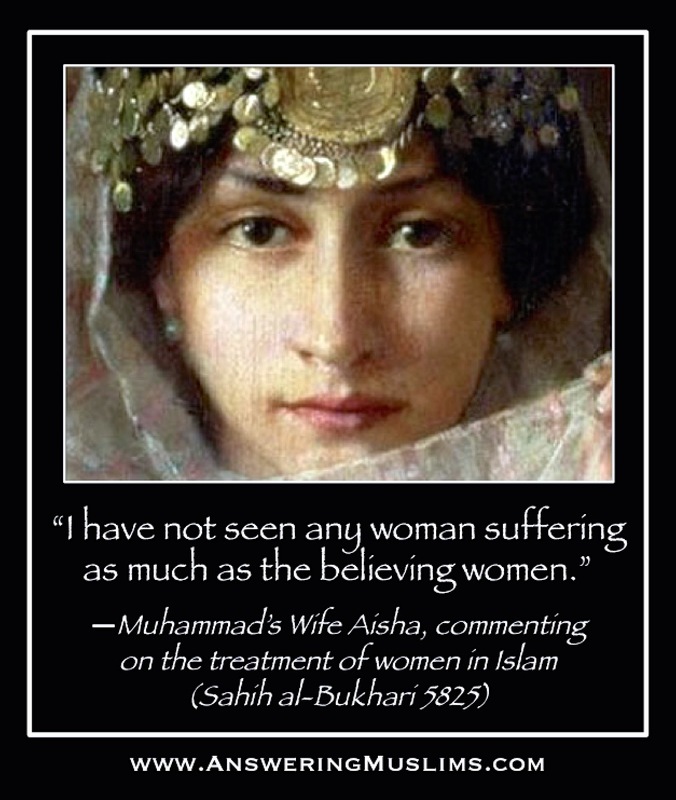 Her contrived, revised version of Islam is what gets so much airtime and laudation whereas people who try to present the more historical and accurate version are frowned upon and called names. Shouldn't those who water down Islam also get called names and rebuked too? It's just you...a typical bigot complaining. I'm just saying that it might be a bit of an inconsistency to say that someone who points out radical "real" Islam and denounces it is also being deceptive about what she believes. I'm saying she CAN'T show "real" Islam because she really believes in the "reformed" version and sells it to Muslims. The deception is ABC's if anyone's, not hers. Would it be good for Christians if the people given all the airtime to tell people about Christianity were all liberal "Christians" who preached a version of Christianity that submitted to the liberalism? I'll bet Muslims also would complain about how she's deceiving people just as much as Christians complain about how people like Spong are deceivers. Actually, they do, which is why the death threats are relevant (though I don't know if anyone threatens liberal Christians). BTW, I put "real" in quotes because I don't think there's anything Islam gives to the world that is real or accurate anyway, traditional or otherwise. Let me tell you a bit about how I found this blog: I became aware that Islam today has a real problem from seeing Muslims like Irshad Manji and Tarek Fatah say so. Even more real Muslims I know have confirmed it (Not all of them try to cover it up). Of course, then I thought that it surely was a responsibility for Muslims to fix and that they could. So I became aware of a problem with Islam and began to ask why that is. I found Acts17Apologetics and ABNsat on youtube, asked my Muslim friends where I could find the sources used, I checked how those sources were used with what true Muslims had to say, and there you have it! I realized that Islam has a problem because of the SOURCE of Islam's own teachings! To say that Irshad Manji is therefore deceiving people about the real nature of Islam then doesn't really sit right with me, since it was people like her that first got me aware of the problem. It's one thing for a Christian to say Islam has a problem. It's another for a professing Muslim to say Islam has a problem. Any criticism of Islam is bigoted? Once again a Muslim playing the victem. Wah Wah Wah are all of you peale cry babies. Opps I forgot the answer is YES because you follow the world, greatest example Mohammed who was the world,s greatest cry baby. When you tell the truth about Islam you are a bigot. This is Islamic logic? This is a typically predictable response coming from a Judeo-Christophobe. Hmm.. If Islam is the truth, why muslims banning criticism of Islam? Seems that Islam is false religion and a lots of video that David transfer to youtube was full of evidents that come from muslims sourses. Thats why muslims must banning criticism of Islam. I believe liveleak DID take down Fitna -- at least temporarily. I remember Pat Condell commented on it. I've noticed Pat Condell doesn't have much to say about Muslo-nazism these days. I wonder if he's being censored by youtube? Or maybe the hundreds of muslo-nazi death threats he's received finally got to him? For a muslime to call anyone a bigot is like a nazi calling someone an antisemite. david go to this video on youtube where muslim is repeatings thing over and over and over....see if you would like to test youtube on their consistantcy or lack thereof.....search >>Did Jesus teach TRINITY or SHAHADA as SALVATION? <<< copy paste on youtube to watch.